« Oxegen 2010 Lineup Confirmed! Just Two Days left until the Mighty Humanzi release their second opus upon the unsuspecting people of the world. Kingdom of Ghosts, the bands sophomore album is arriving to ITunes and possibly (hopefully :)) Dublin record stores on CD this Friday, February 26th and Tickets There can now confirm the full track-listing. To promote the release, Humanzi are in the process of uploading one video a day to www.krankmusicvideos.com. Each video was filmed live in Berlin. Reports about a launch party are still to be confirmed by the band but fear not, Tickets There will continue scavenging the Internet for updates. In the mean time, you can busy yourself with the bands Official MySpace Page that has three of the new tracks on the player. 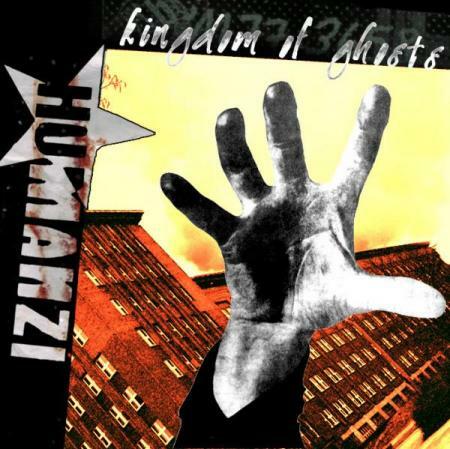 This entry was posted on February 24, 2010 at 12:01 am and is filed under IRISH NOISE!, Music, News with tags Bass Balls, Black Sunrise, Humanzi, Humanzi Kingdom of Ghosts, Humanzi second album, Humanzi the Berline album, Kingdom of Ghosts, Straight Lines, The Berline album. You can follow any responses to this entry through the RSS 2.0 feed. You can leave a response, or trackback from your own site.